Miu Miu Reveal collection. Square silhouette with oversized lenses applied to the frame front. Acetate frame underneath with glitter fabric inserts. 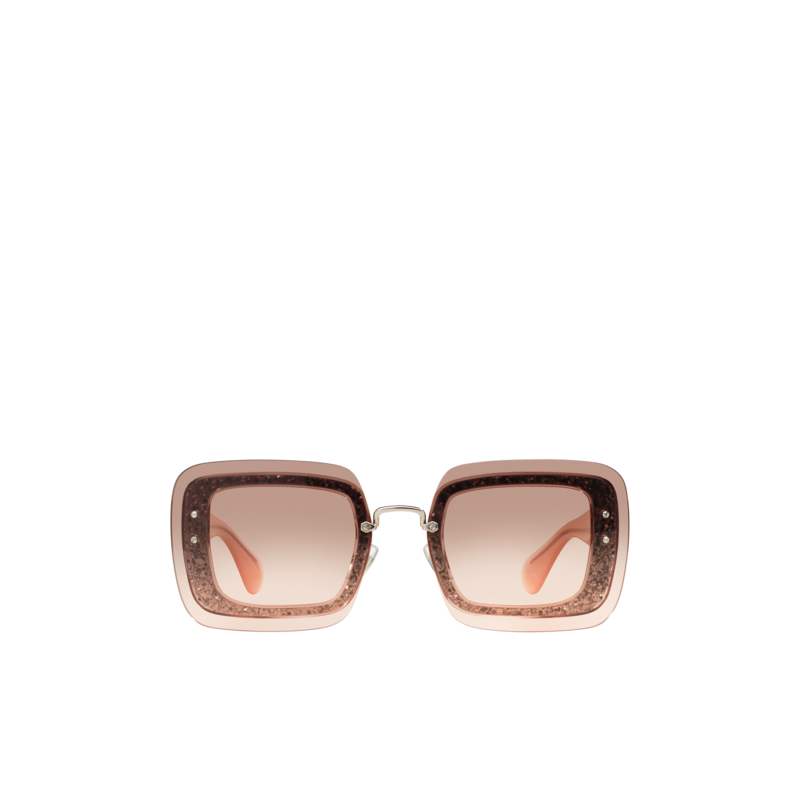 Miu Miu logo engraved on the temples. Adjustable nose pads make this style suitable for any fit.